By now, you’re a seasoned letter-writer. Your letters to camp are masterful. Funny. No, hysterical. Engaging. Illuminating. Pieces of fine art. World-class prose. On par with those of John and Abigail Adams. But if your letters are too long, how can you shorten them? This will really add some zing to your next letter to camp! Let’s face it, it’s the middle of the summer, and you’re probably tapped out. There’s only so much you can write about waking up, washing, cleaning the house, going to work, eating dinner etc! And that’s where CampLibs ™ come in. CampLibs are just like MadLibs only you, the adult, fill them in and then your kids get to read them. Imagine your camper rolling on the floor laughing at your CampLib. They’ll be reading them to their bunkmates – they’ll be the hit of the cabin. And you – well, YOU will be the coolest parent of all. 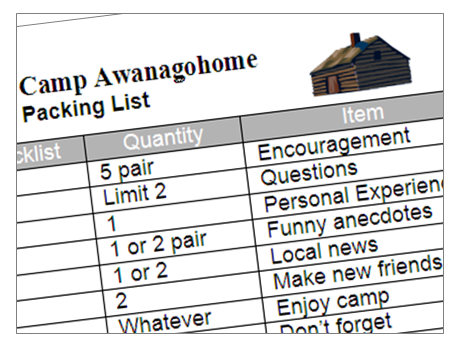 Because who else sends a CampLib to their campers? Until now, NO ONE. So jump right in. This CampLib is guaranteed to make writing a letter as fun as reading it. And let’s face it, the price is r-i-g-h-t (as in free)! Download the CampLib from our website, or click the button on the far right of the box above to sign into Slideshare to and download it there! If you like this CampLib, please Tweet about it or pin a CampLib. So what do you think? Should we write more CampLibs? Let us know! Picking up from the last post, here are more secrets to funny camper letters! #1: Transform the mundane into the amusing. Let’s face it, your home life is probably a lot less interesting than your camper’s experience. So spice yours up. Search out funny details. For example, my daughter left an old orange in her gym bag for a month. Let’s just say that it had changed color and shape. We got some good mileage out of that one for months. You’ll be writing funny letters in no time! 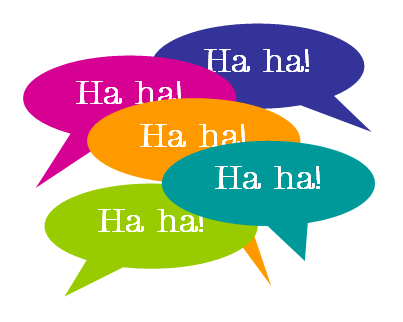 Many visitors to this blog ask how to write a funny letter to their campers. The reason is obvious: they just paid umpty-nine-bazillion dollars (plus fees) to send their campers away and they intend to keep them there! Or they just want their kids to have a great summer. Either way, humor is good. 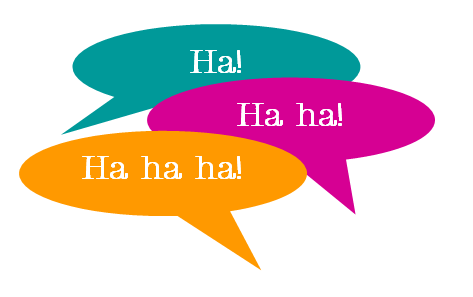 So letters to camp should be humorful, er, funny! Following are a few suggestions that will help you to write funny letters that may keep you kids [happy] at sleep-away camp. Super Pup Pup Saves the Day! Let’s face it, your life may not be that interesting – but that shouldn’t stop you from writing great letters. Here’s a dog story you can easily include in your next letter. Last summer I wrote the “Multiple Choice Letter #1.” Your kids will love multiple choice letters – and you’ll save time too. But sometimes, “fill-in-the-blank letters work well too. Here’s a sample fill-in-the-blank letter that will zip up your letter-writing. I’ve left this blank so you can cut, paste and fill it in with the least effort.